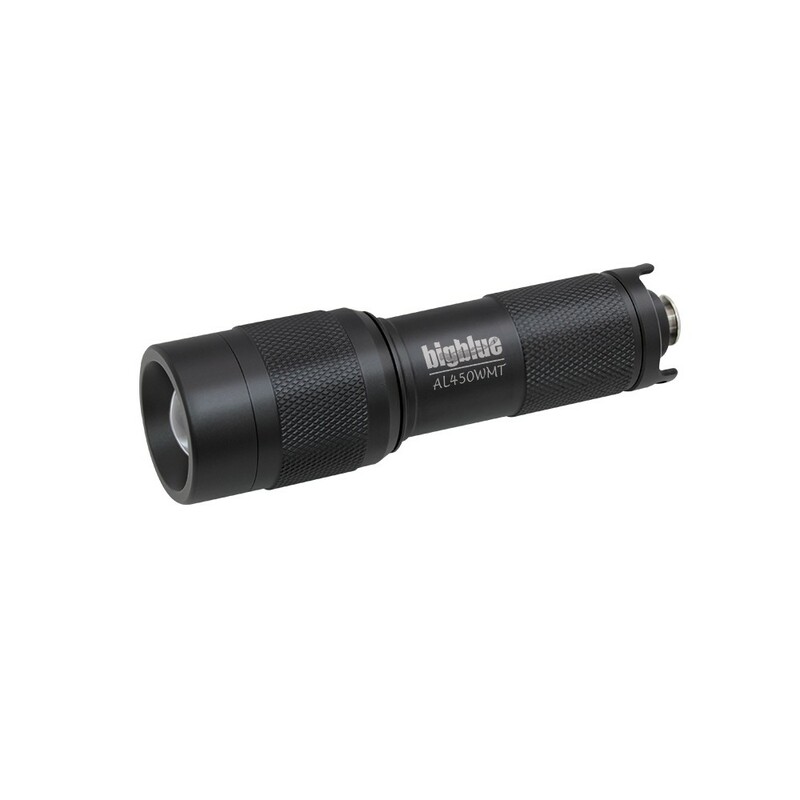 This light is a rugged, reliable, and compact light with a powerful output. The AL450WMT offers 450 lumens, a 40° beam angle, a push-button tail switch for on/off function, and a lanyard. 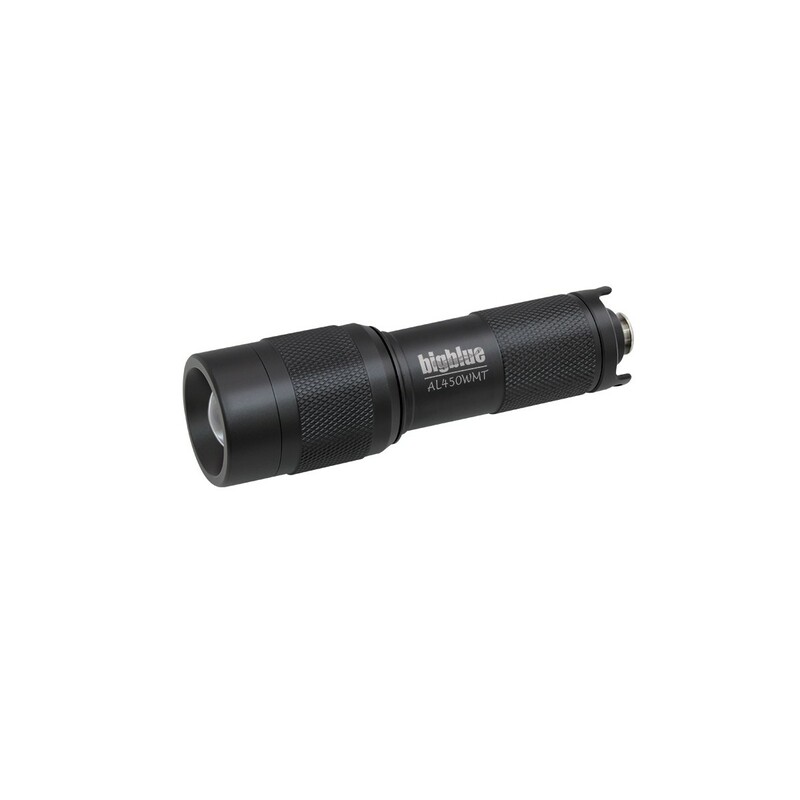 This is a great small light option for any diver. This light is offered in several package options: --Light Only --Light with Goodman-glove --Light with glove and pouch. 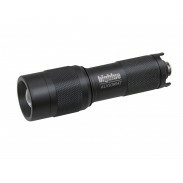 It also comes in a combo pack paired with the AL1200NP or AL1200WP. • On/off button on tail end. • 3AAA batteries, alkaline or NiMH.